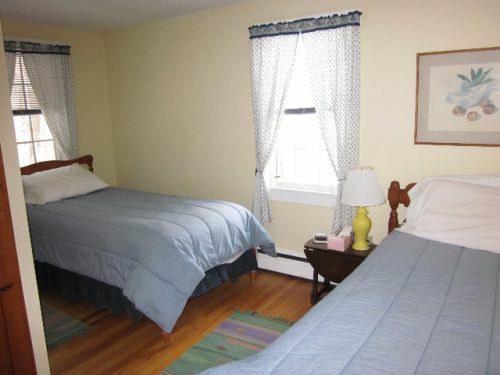 While adults will be perfectly comfortable sleeping in this room, it is a great room for children. Two closets offer nooks & crannies for hide & seek and the room's windows open to the sound of the creek burbling outside. Shares upstairs bathroom.